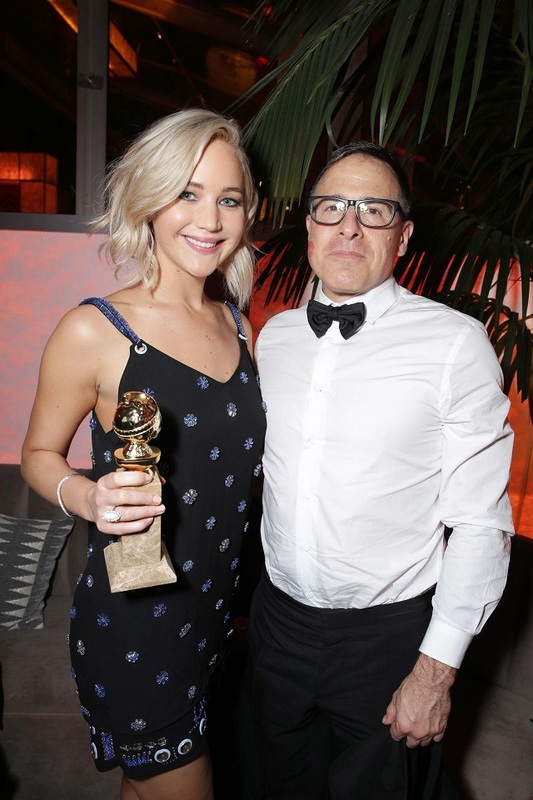 Winning big at the 2016 Golden Globes, actress Jennifer Lawrence arrived at the after party, showing off her toned and trim legs in a short ensemble. The 25 year old wore an embellished Versace dress which was party perfect, and looked slinky on J-Law's curves. The thigh-skimming dress featured delicate straps, a very low-cut neckline and caught light on its mirror embellishments as the actress moved about. Jennifer wore her short blonde locks wavy, and added on strappy sandals, an embellished black clutch and a swipe of pink lipstick to her style.